"How do I know it works unless I test it?'" 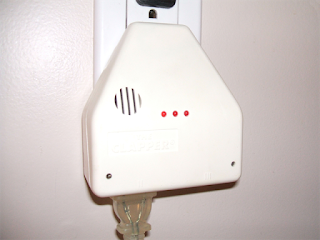 Declaring it a matter of national security, President Donald J. Trump ordered White House maintenance workers to wire the nuclear button on his desk in the Oval Office to “The Clapper” – an electronic device which allows a table lamp to be turned on or off by simply clapping one’s hands -- next to his bed. “The president ordered the instillation of the device when he realized he didn’t have to walk all the way down stairs in the middle of the night to his desk in the Oval Office to push the nuclear button, should he deem it necessary,” said a White House spokesman. to "The Clapper" at his bedside.